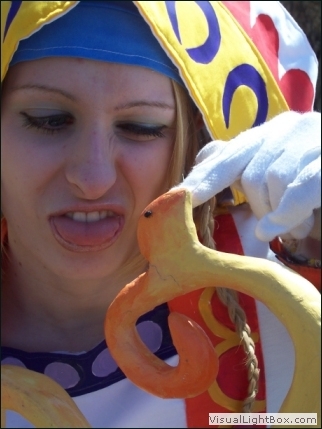 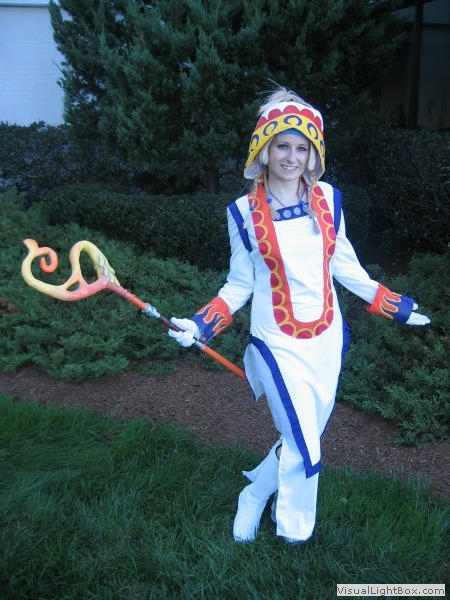 Notes: I originally started working on this costume when I had a broken arm with a large brace. 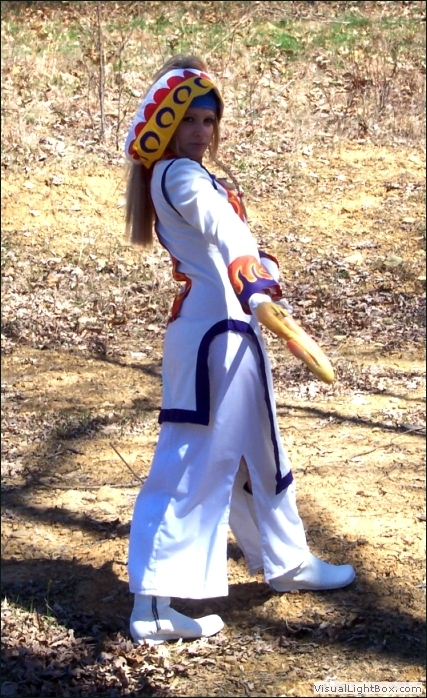 It was the only costume I could think of that was appealing to me and at the same time, would hide my brace in case it wasn't off for my next convention. 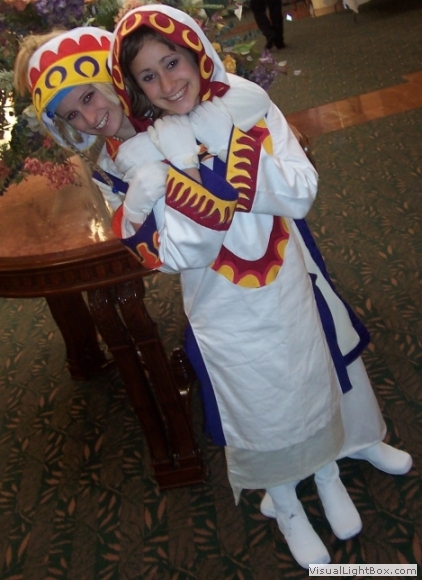 I was pretty happy in it, it was comfortable and warm for the colder months! 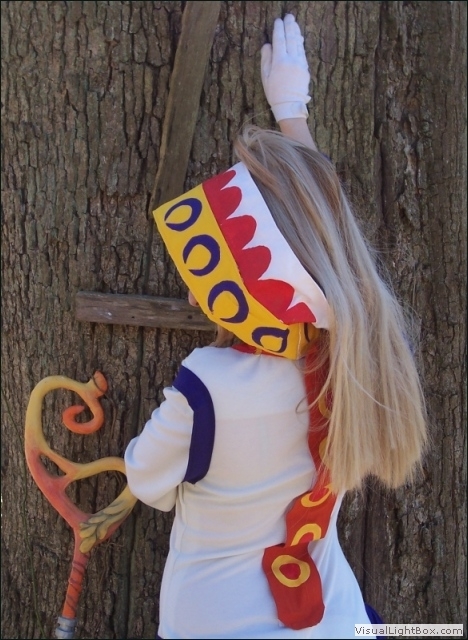 All of the designs on this were hand painted, and I hand made my staff with wire, clay, and of course a dowel rod for the long handle part. 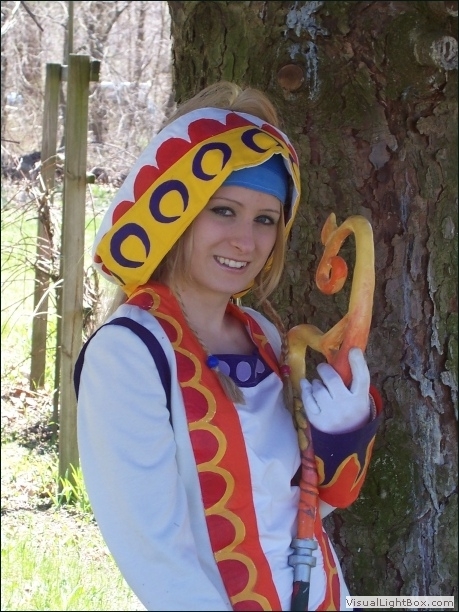 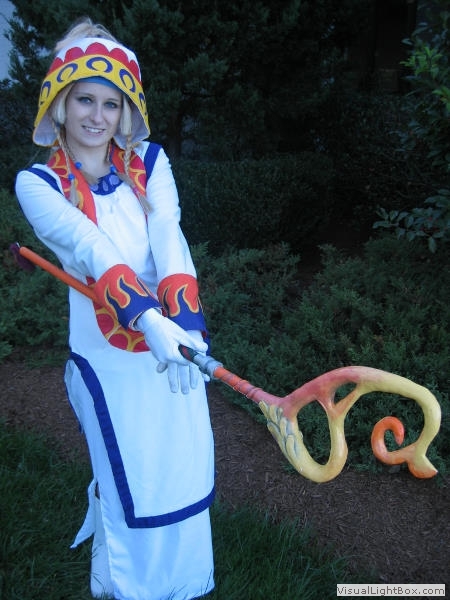 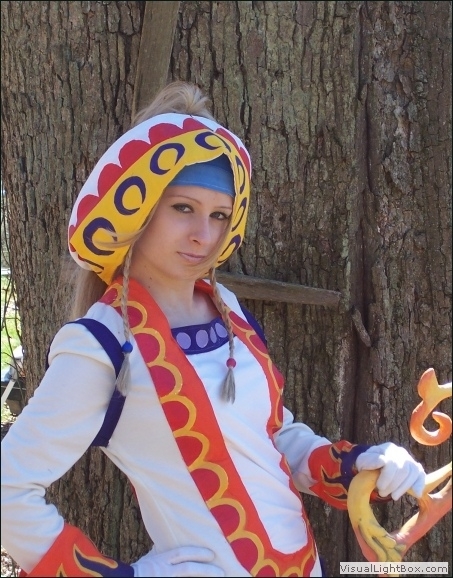 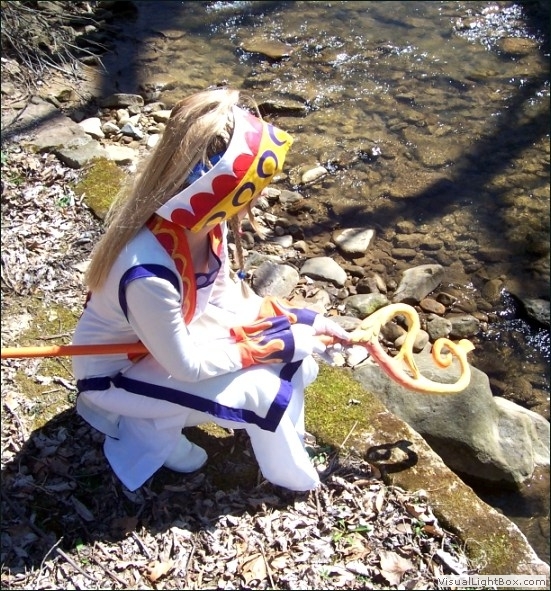 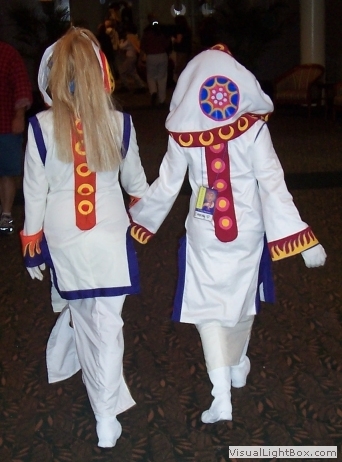 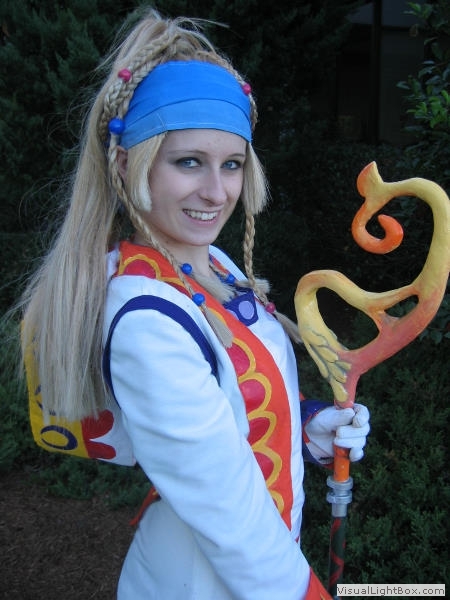 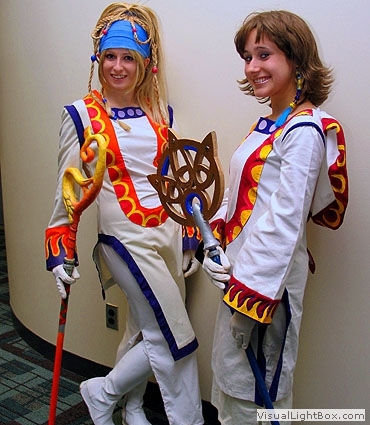 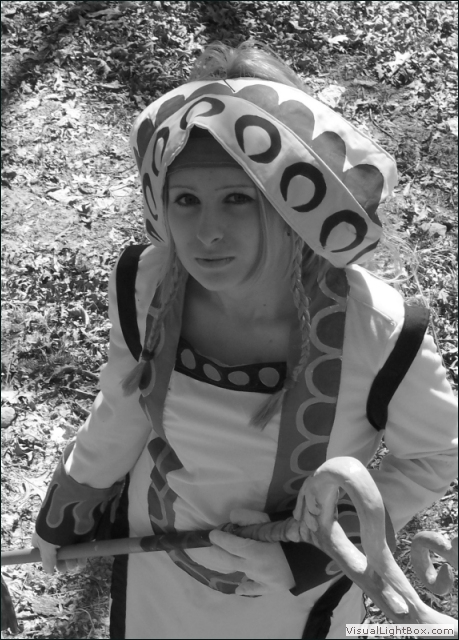 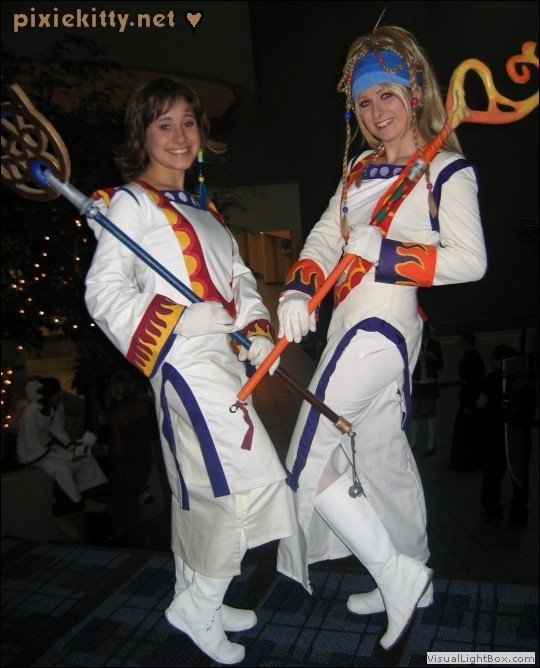 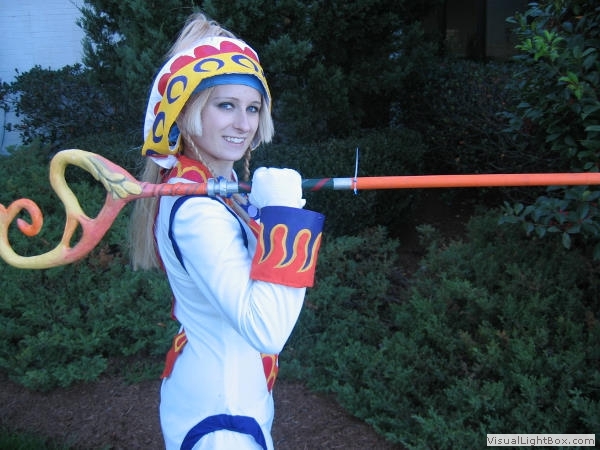 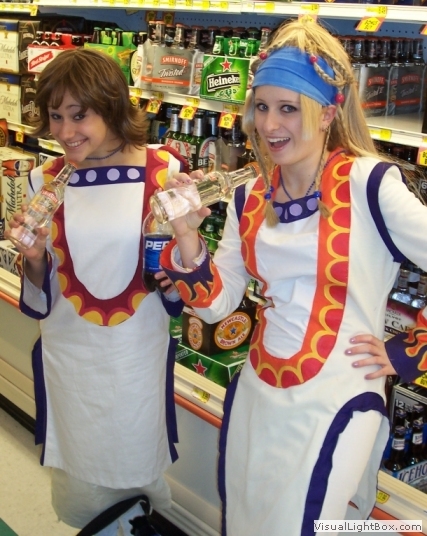 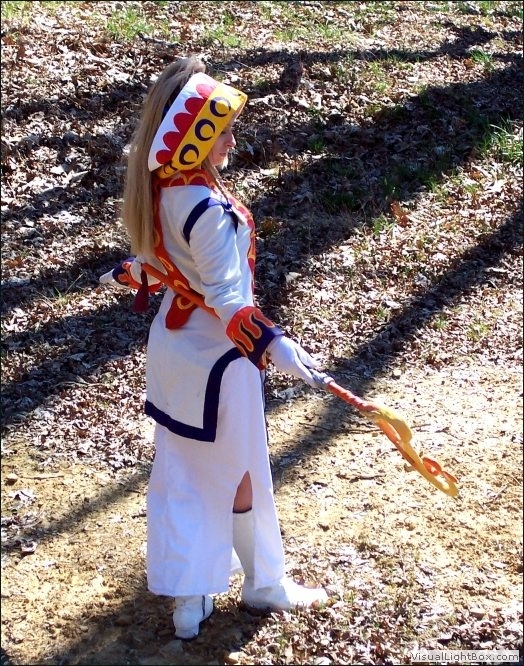 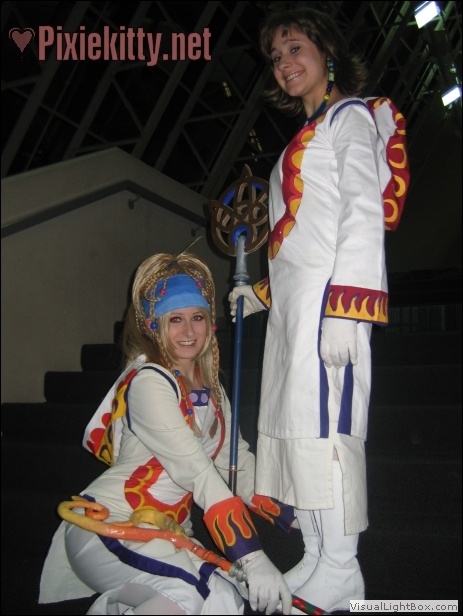 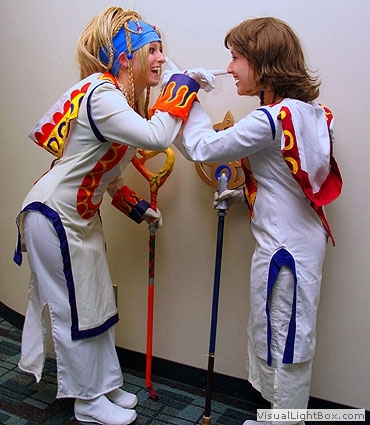 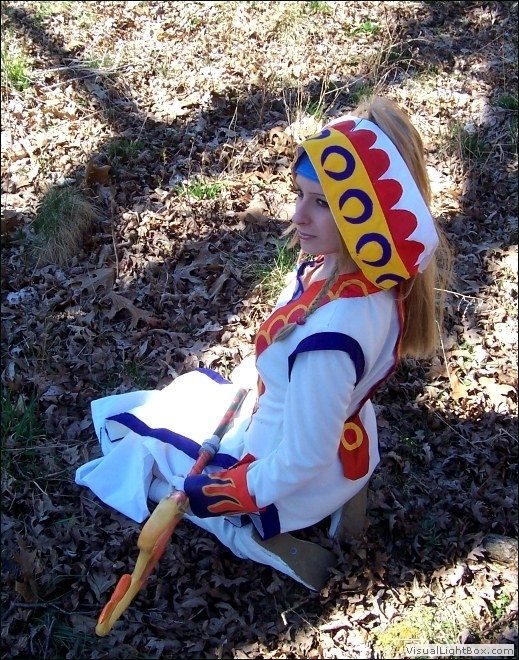 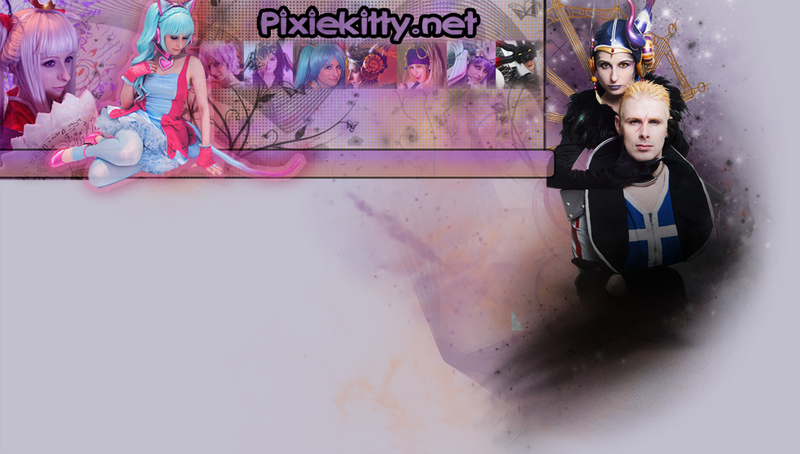 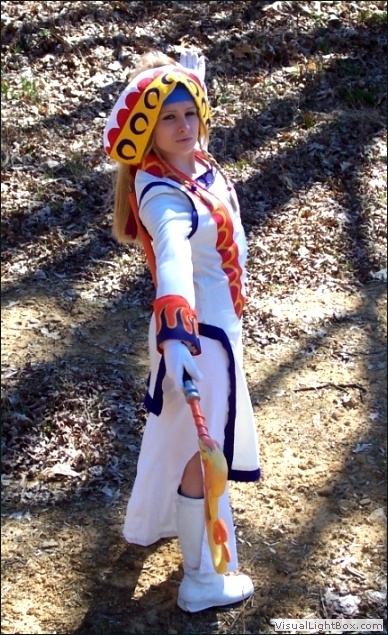 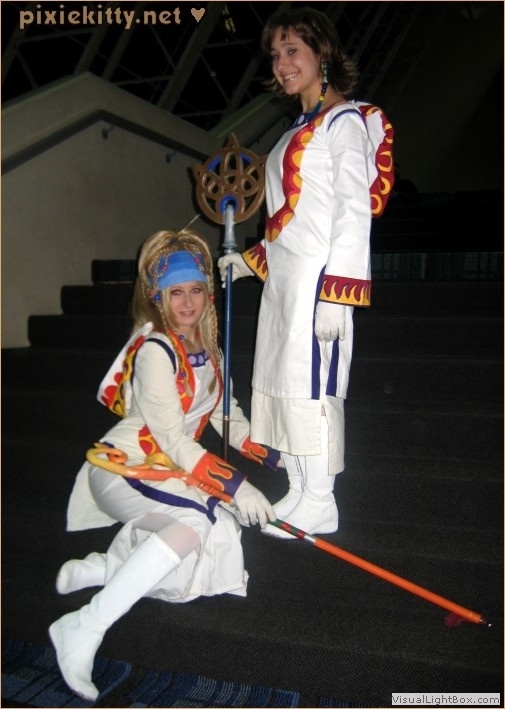 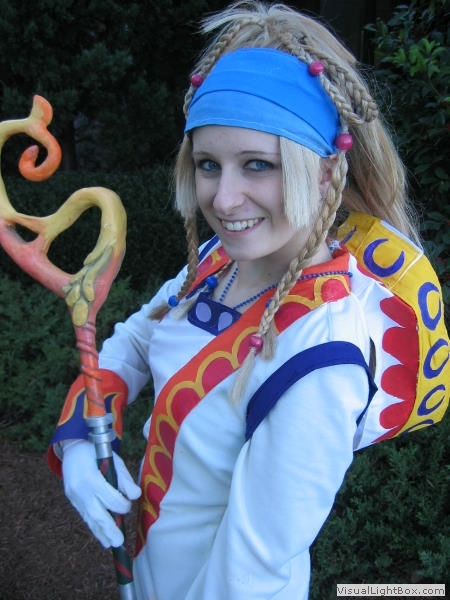 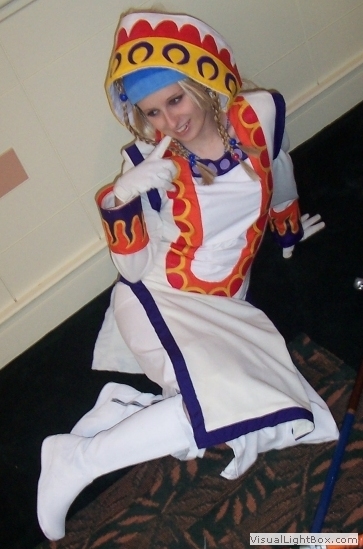 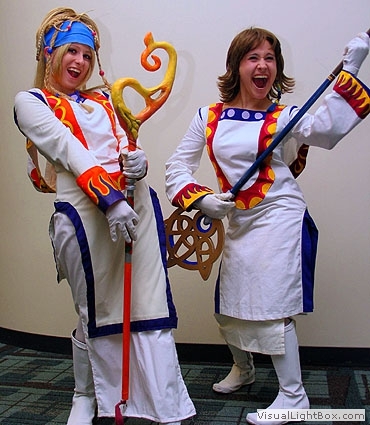 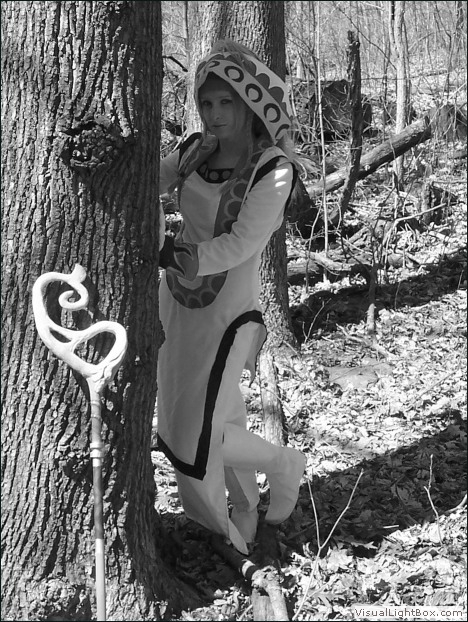 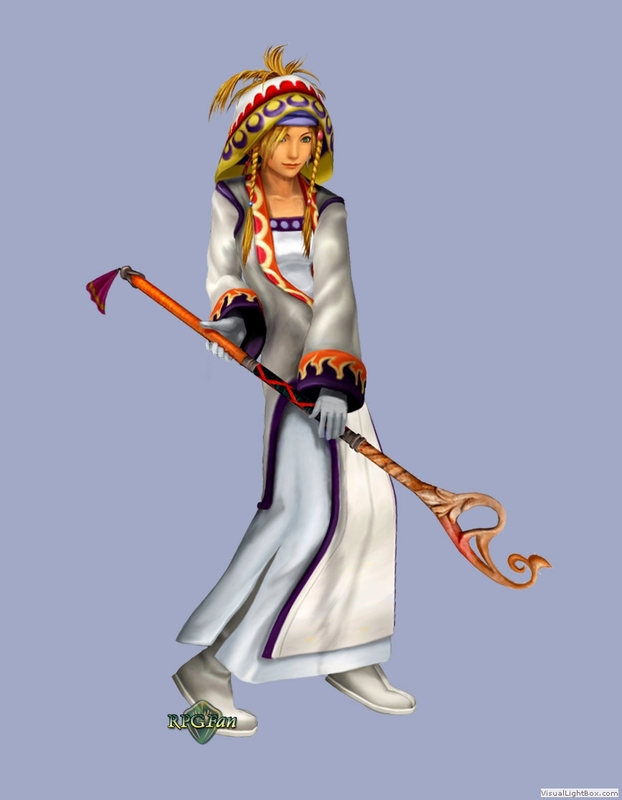 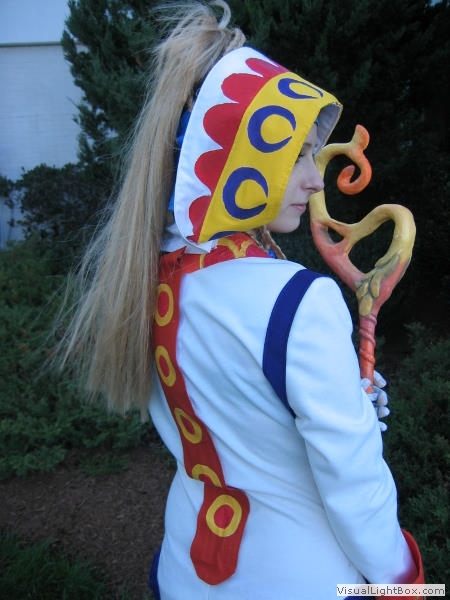 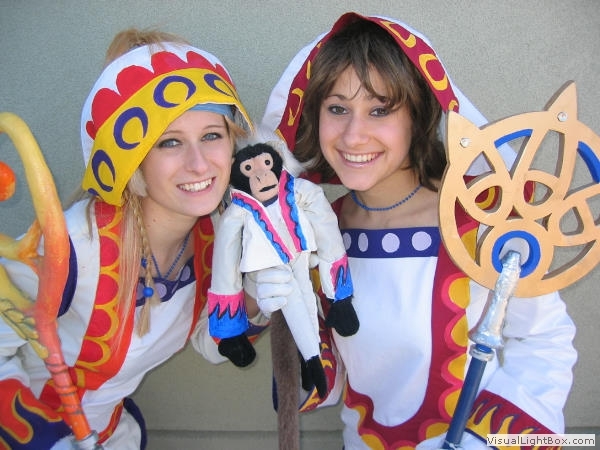 I later made a White Mage Yuna Costume for my friend Megan to wear with me! 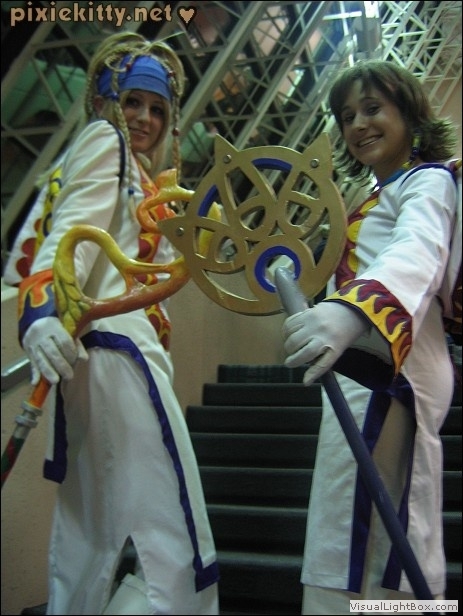 We had so much fun together in these costumes!